Recently launched in France and Germany, Urgotul Absorb Border is the latest addition to the TLC range (Technology Lipido-Colloid) that has shown already great enthusiasm from clinicians. Ai?? usa safty website to buy propecia. 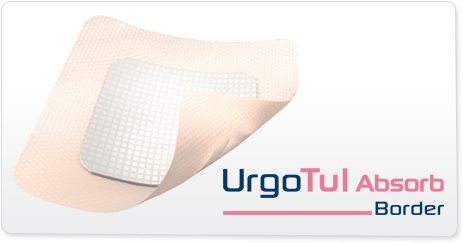 Urgotul Absorb Border is the first 3 in 1 dressing benefiting from the Triple efficacy: a healing matrix (TLC layer in contact with the wound bed), absorbency (foam pad combined with a super-absorbent layer) and atraumatic silicone (waterproof adhesive backing with silicone on the edges only). good canadian pharmacy to buy viagra. The uniqueness of Urgotul Absorb Border is mainly due to the TLC Technology that optimises healing, epidermal regeneration and reconstruction of dermis and epidermis; while providing pain-free dressing changes and promoting fibroblasts proliferation. It is indicated for exuding wounds in the Rosuvastatin tablets price epithelialization stage, and is available in a wide range of sizes including a sacrum version. For more information on this fantastic new product, please click here.